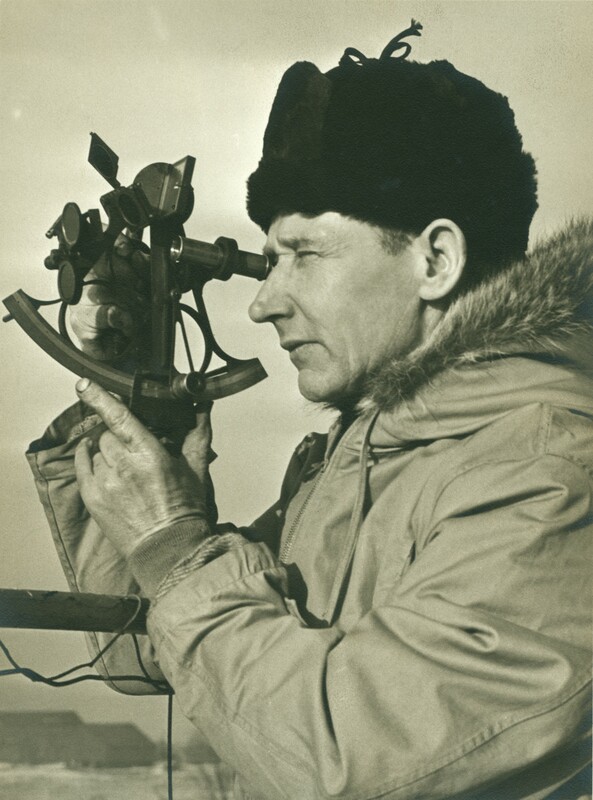 Bert Topham looking through his nautical sextant, circa 1940. Photo courtesy of Lynn Kirk. Bert's sextant was generously donated to the Society by Lynn Kirk in 2013.